A fresh and colorful Salad made with local vegetables. 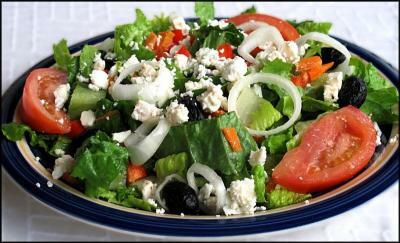 Romaine Lettuce, Tomato, Onion, Imported Greek Olives and imported Greek Feta. 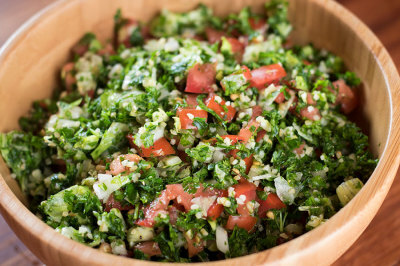 World Famous Lebanese Salad. Finely hand chopped Parsley, diced tomato and onion. All hand mixed with our age old dressing. Heart Healthy Soup. This recipe dates back many generation and we are serving it to you. Imported lentils cooked with savory caramelized onions, salt, pepper and olive oil. 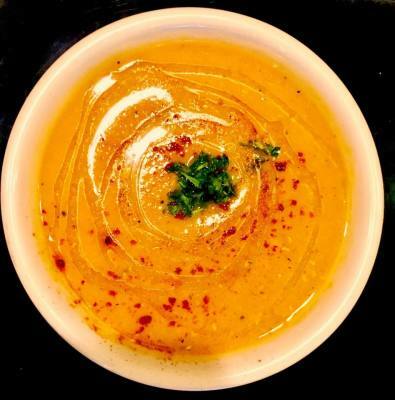 all slow cooked together for a harmonious blend that hits all the right spots. One add on per Salad.